Pipevine Swallowtail butterfly caterpillar food plant. 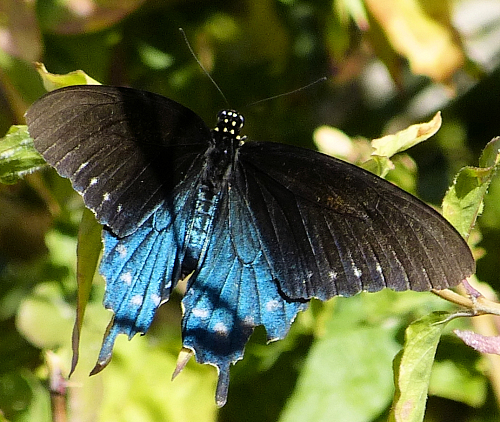 The Pipevine Swallowtail is also called the Blue Swallowtail. 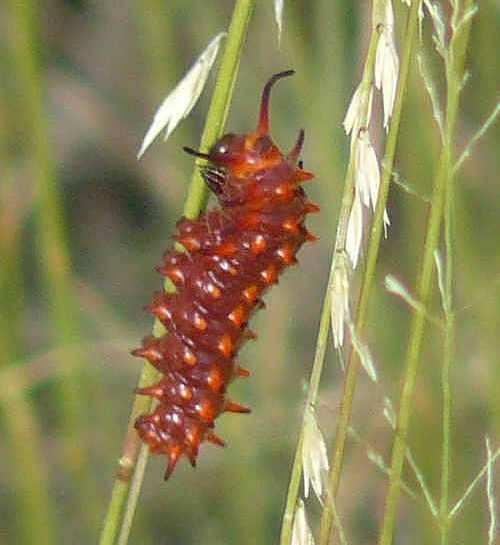 A Pipevine Swallowtail caterpillar resting on a grass stem late afternoon. 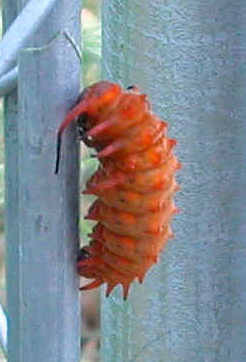 The red body color may come from being in direct sunlight in high temperatures. 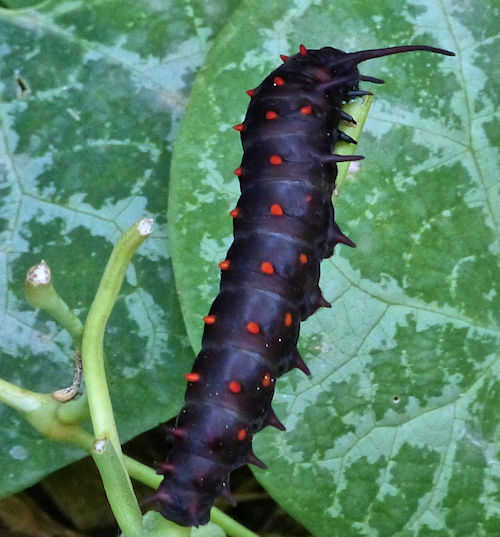 This caterpillar has fed exclusively on Aristolochia watsonii: Southwestern Pipevine. 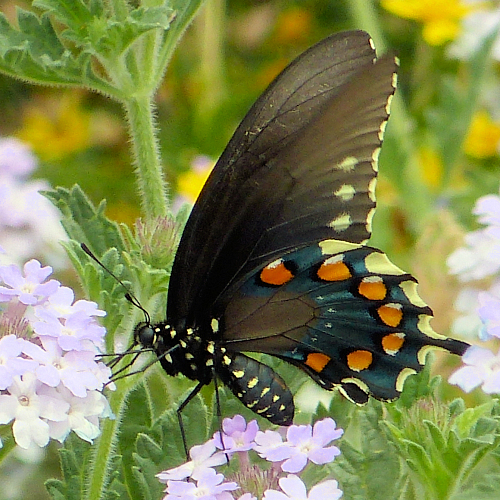 This Pipevine Swallowtail caterpillar is black with red spots. The black color may result from staying in the shade and avoiding direct sunlight. 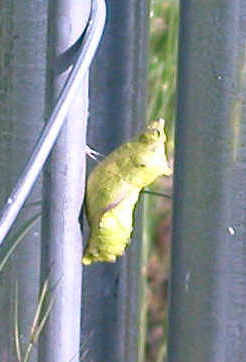 Dutchman's Pipe Vine, shown in the picture.